Sukuma Wiki, Swahili for "stretch the week," is a ubiquitous Kenyan dish. Nutritious and tasty, it is a way of "stretching" out kitchen resources. 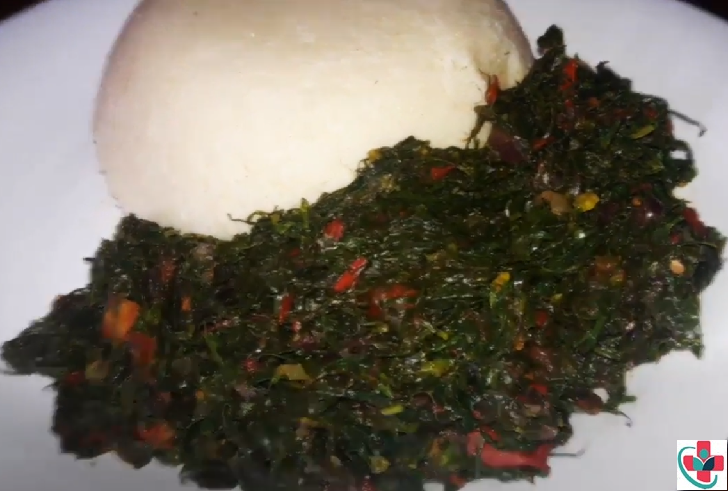 Served with ugali and perhaps some roasted meat or fish, sukuma wiki makes a typical Kenyan meal. Sukuma wiki can be found in many forms. Sometimes it is highly spiced, in the Indian-influenced cuisine of East Africa. Sometimes it is a very plain and basic dish of greens, with nothing but oil and a little onion to round it out. The version I ate most often in Kenya had onion, tomato, and a smattering of spices. This may be plain family fare in Africa, even a subsistence food. It's what I like to think of as an "invisible food" both there and here, too plain to even mention. But for those of us who love greens and eat them regularly, this kind of basic, quotidian dish of simple greens is one of the building blocks of healthy weeknight meals. Make it any way you like — enjoy the taste and chew of robust greens. Here's how I make mine. Add the tomatoes, water or stock, salt, and pepper. Bring to a boil, then reduce heat to low and simmer gently until tender, from 20 to 30 minutes. ● Add a chopped chili pepper or two with the onions if you like. ● Some recipes call for thickening the dish with a flour-lemon juice mixture. Here's how: mix 2 tablespoons of flour well with the juice of 1 lemon and a little water. Stir into the greens after they have been simmering for about 10 minutes. Continue simmering for another 15 to 20 minutes until the dish is slightly thickened. ● If you like, add some leftover meat for more flavor. Kenyans would most likely use goat or beef.